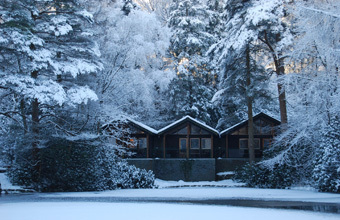 THE award-winning Langdale Estate in the Lake District is offering discounted rates on its secluded Scandinavian style timber lodges for the Christmas period. The self catering lodges, which boast spacious accommodation, beautiful views and come well equipped with a range of additions from private balconies and saunas to wine fridges and free wifi, are being discounted by up to 25 per cent to celebrate the festive season. Guests can also benefit from use of the extensive spa facilities at Langdale Hotel and Spa and a variety of eating experiences.